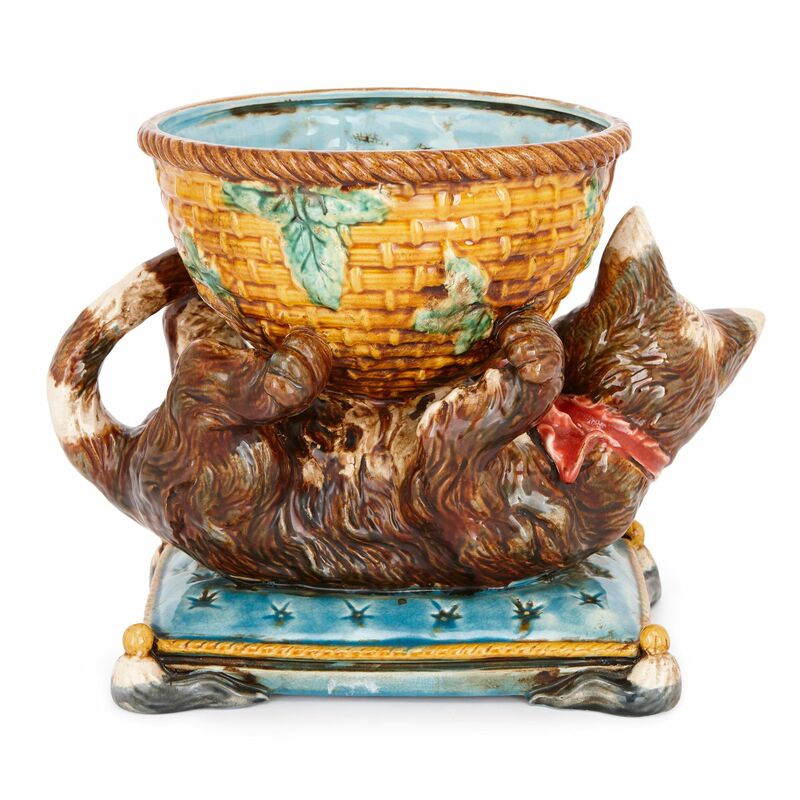 This charming decorative piece was made using innovative glazing techniques, and represents some of the finest majolica ware of the late 19th Century. 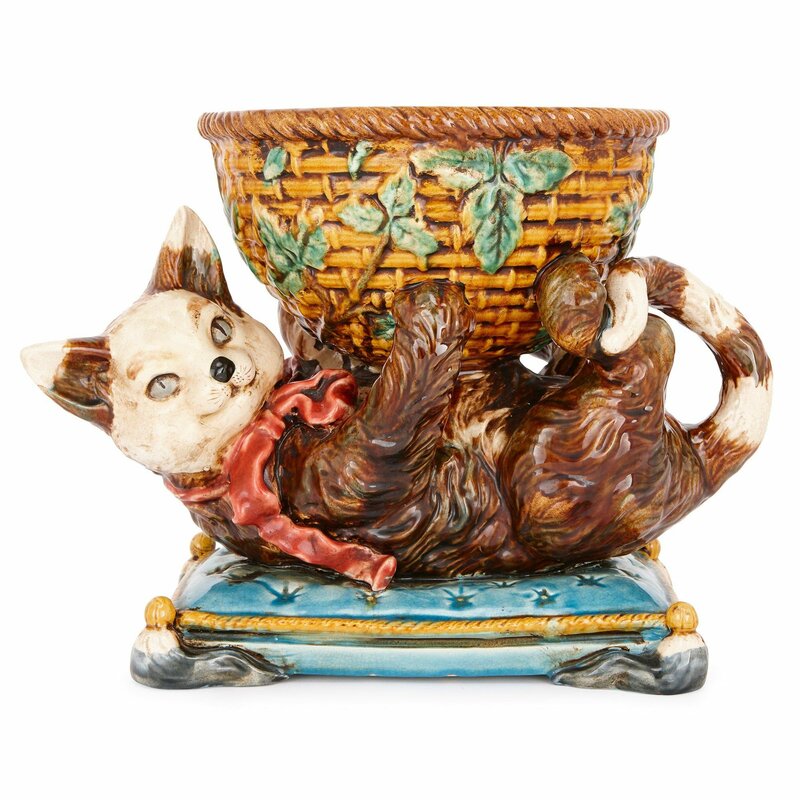 The sculpture is modelled in majolica, taking the form of a cat lying on its back, on a cushioned pillow, holding a basket between its four legs. 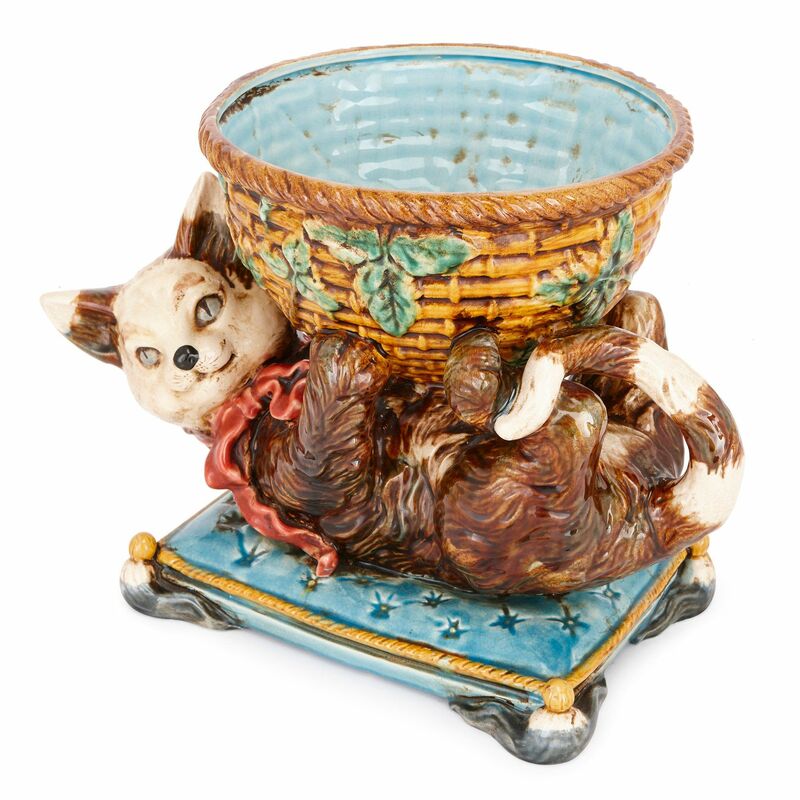 The basket is decorated to look like wicker, with ivy around its exterior, and can be used as a bowl. The underside is signed 'Vallauris / J. Massier / Epreuve d'artiste'. The bowl is the work of Jerome Massier (French, 1850-1916), who worked in partnership with his cousins, Clement Massier (1844-1917) and Delphin Massier (1836-1907). 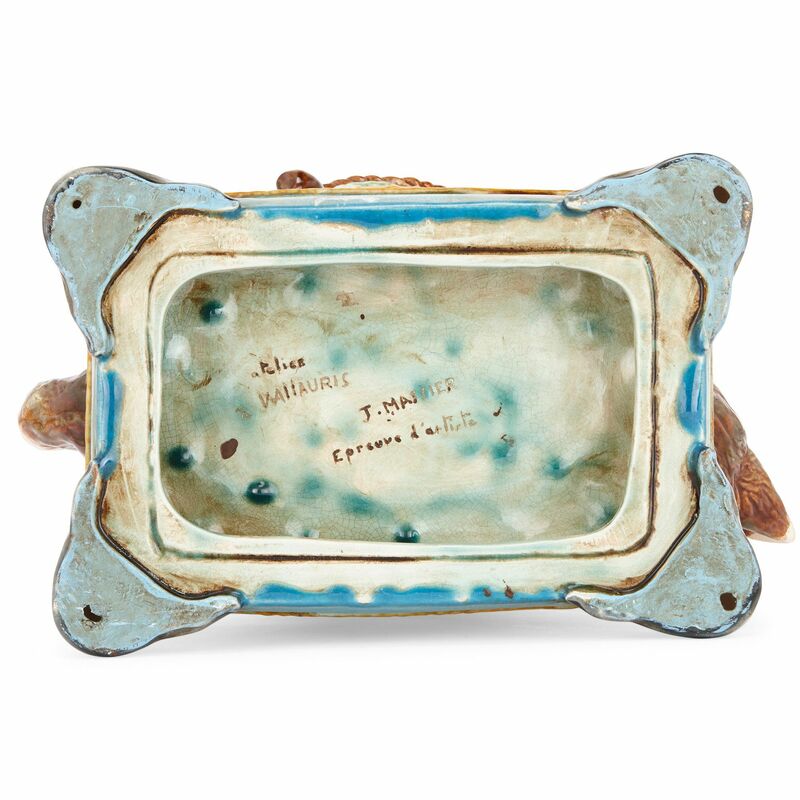 In the late 19th and early 20th Centuries, the cousins revived the production of ceramic art in the French town of Vallauris. 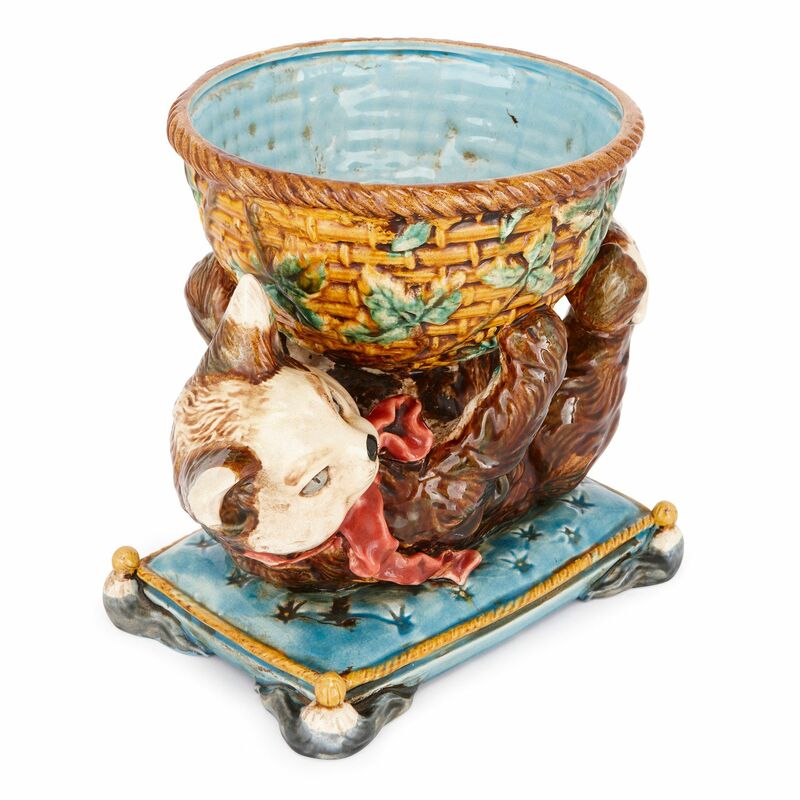 The Massiers are known particularly for having pioneered a new technique for glazing majolica, thus creating new colours. 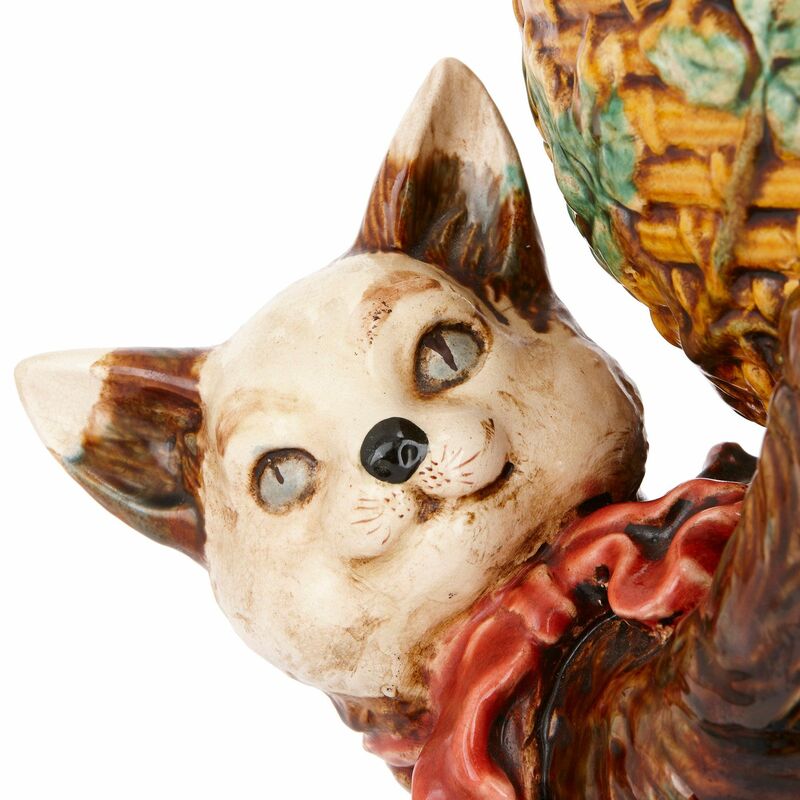 Massier-ware commonly takes the form of objects, such as bowls and jardinieres, which are modelled as animals and birds in humorous poses, thereby merging more traditional majolica techniques with the flamboyance and humour of the late 19th Century.